Driver Harry Grant with mechanician Frank Lee drove the 1909 Alco Black Beast in the greatest races of its time; two Vanderbilt Cup Races, the Elgin National Trophy Race, one American Grand Prize and the Inauguaral Indy 500 Race in 1911. As shown in the above image from the archives of the Indianapolis Motor Speedway, the Alco appeared in practice for the 1911 race with its lucky #18 from the1910 Vanderbilt Cup Race. During the race, the Alco ran as # 19. 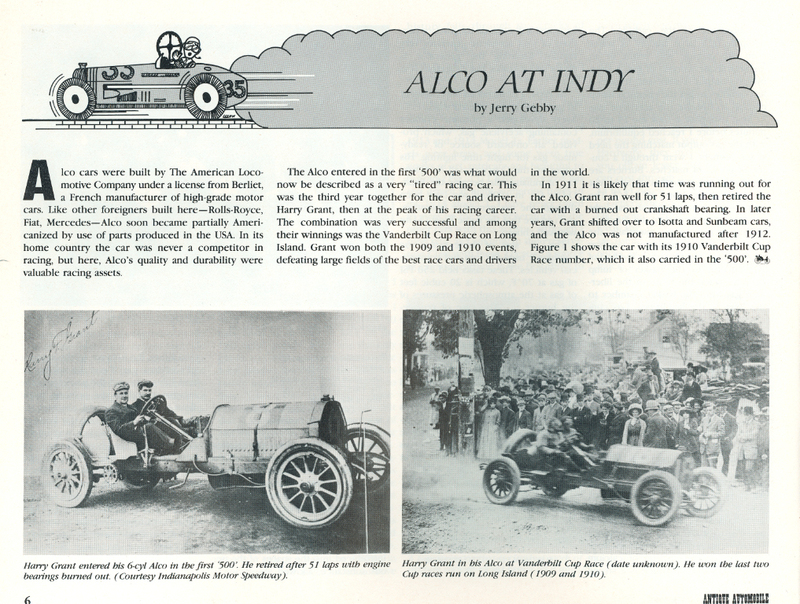 As described in a 1987 Antique Automobile article, time may have been running out for the three-year old Alco in 1911. 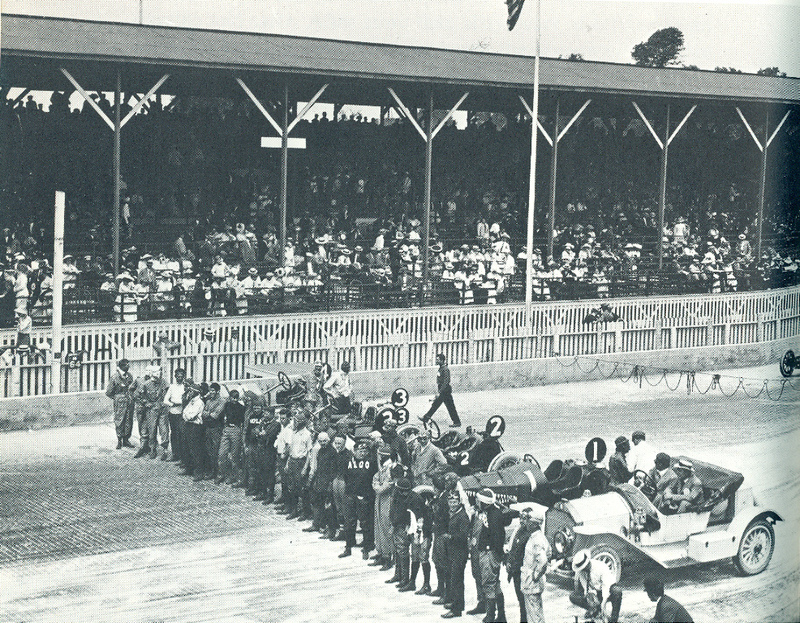 Prior to the race, the drivers and mechanicians for the 40 entrants posed on the starting line before the large grandstand crowd. The Stoddard-Dayton pace car driven by Carl Fisher himself can be seen on the far right. Harry Grant was in the middle of the pack, clearly identified with his Alco sweater. For the first 51 laps of this historic race, the Alco ran well. However on the 52nd lap, a crankshaft bearing burned out and Grant retired the car. The Alco finished 33rd of the 40 entries. Regardless, great post, great photos. You have a treasure in that wonderful, rolling piece of history. Thank goodness Harry Grant was wearing the “Alco” sweater so that he could be identified. 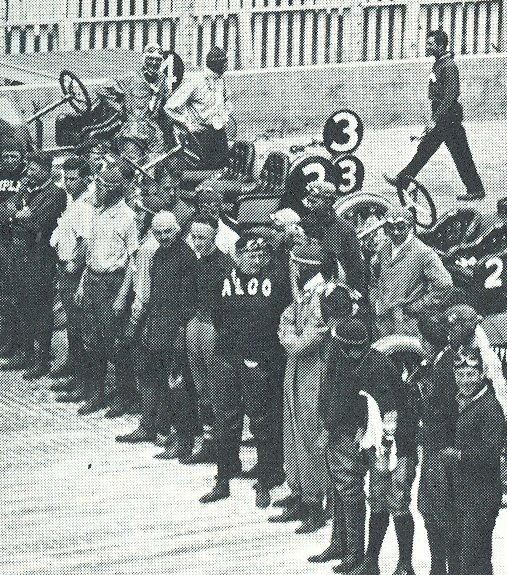 In the 1911 Indy 500 Race, the Alco was assigned #19 but was the 17th car to start. There was not #13 car and #14 did not start the race.